Ha, Ha, Ha! – I love that song… When I was a teenager, my brother, my sister and I used to love Halloween season. Even though in Brazil, Halloween is not a big thing and we don’t do trick-or-treat, television would show a lot of horror movies during the month of October, and that is what we do. Eat hot-dogs and watch Freddy and Jason. Have you ever made a bet on how many people die on Friday 13’s movies? Once I moved to the US, living the Halloween has been an interesting adventure. Seeing all the houses decorate with this creepy monsters and open the door to all the trick-or-treaters is just so fun for me! This year, I decided to decorate a little bit the inside of my house. I made a wreath with left over boas. 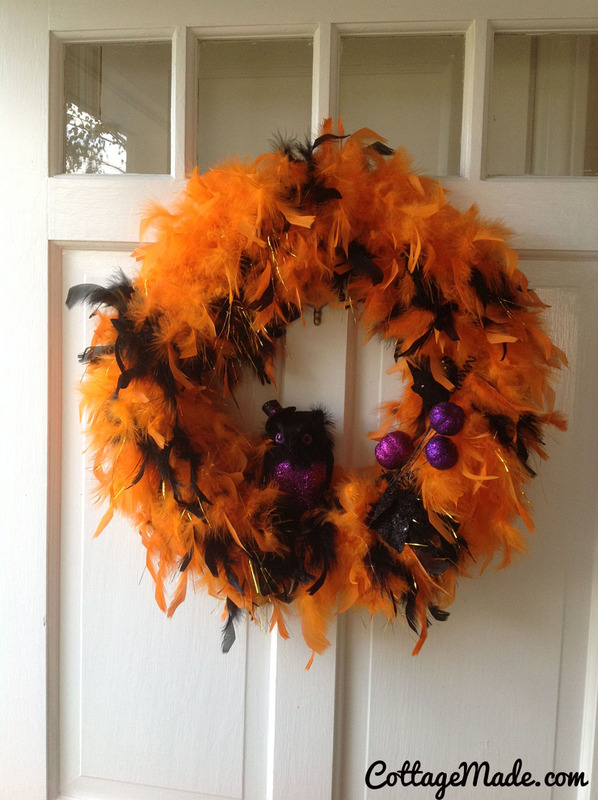 Simple, get a round wreath base or anything that is really round and wrap it with an orange or an orange/black boa. Hot glue some scary things on it and voila! Halloween wreath! I also bought some dollar items and spread them thru the house. 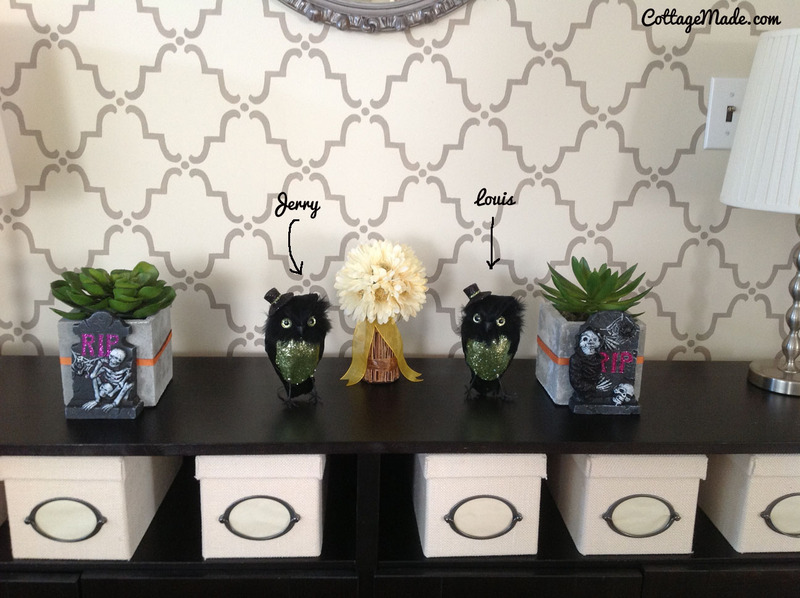 Meet Jerry and Louis. 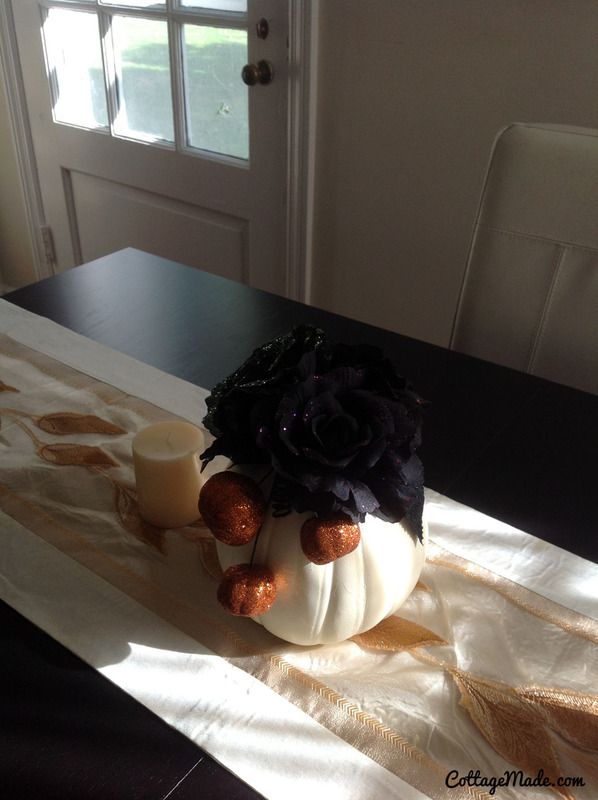 For the centerpiece bellow, I basically got some black plastic flowers and I glued it on top of a foam white pumpkin. They are very trendy nowadays. Decorating my house and working on those crafts, took me about 20 minutes. It just makes things a bit more fun and puts me in the mood. Outside, I decided to go “economical”. In order words. “Cheap-oo”, in Portuguese “Nono-Correa”. I rescued some plastic pumpkins from previous Halloweens, and put a lamp inside to give some light to it. I decided to not spend money in real pumpkins for Halloween. I will buy some when they get on sale for Thanksgiving. My thought? I am not in the mood to spend money on things I can’t re-use unless they are very cheap. And second… they attract animals, so.. this year I decided.. no.. make it easy and uncomplicated for me. Sometimes, you just need to surrender yourself to the word “lazy”. 7) The Conjuring – new movie but totally worth it!